BlackBerry on Wednesday said it would cease internal development of its hardware and will transfer that function to its partners. While the BlackBerry-branded devices will remain on the market, BlackBerry itself will focus completely on software and will not invest in development of devices. The move edges the company closer to exiting the hardware business after years of considering such a move. “The company plans to end all internal hardware development and will outsource that function to partners,” said John Chen, CEO and chairman of BlackBerry. “This allows us to reduce capital requirements and enhance return on invested capital," continued Chen. Less than three years ago BlackBerry inked a strategic partnership with Foxconn, under which the two companies jointly developed certain BlackBerry-branded smartphones. Foxconn then built the hardware and managed the entire inventory associated with these devices. Now, the company intends to cease all of its hardware-related R&D activities and outsource this function to others.BlackBerry will now focus on development of extra-secured versions of Google’s Android operating system (recently the company introduced its own version of Android 6.0 that is used on the DTEK50 smartphone) as well as applications with enhanced security available through its BlackBerry Hub+ service. In addition to Foxconn, BlackBerry has worked with other hardware makers. 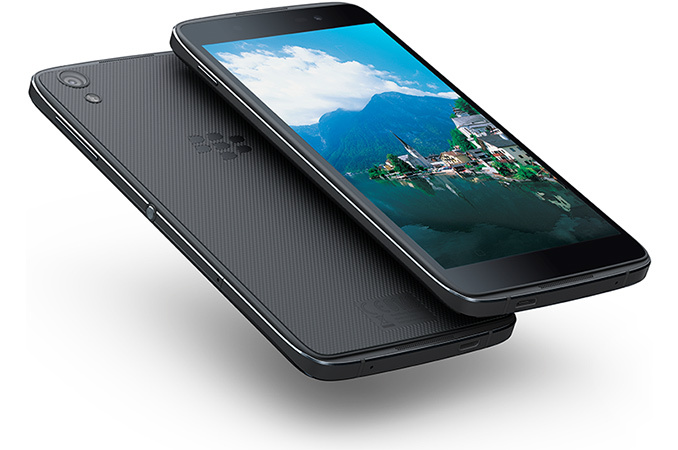 BlackBerry’s DTEK50 smartphone released earlier this year resembles Alcatel’s Idol 4 handset developed by Chinese TCL. Therefore, right now BlackBerry has at least two partners, which can build smartphones carrying the well-known brand all by themselves. In fact, this deal with BlackBerry puts TCL into an interesting position because it now can make handsets both under BlackBerry and Palm brands (in addition to Alcatel trademark, which TCL uses for its smartphones). Today, BlackBerry also announced its first licensing agreement with joint venture PT Merah Putih, an Indonesia-based company. Under the terms of the agreement, the latter manages production and distribution of BlackBerry-branded devices running the BlackBerry’s Android software. While it is not completely clear to which degree PT Merah Putih develops its hardware in-house (typically, such companies outsource design of their products to others), it is more than likely that the actual devices are made by an ODM, such as Foxconn or TCL. BlackBerry has been considering an exit from the hardware business for several years now, ever since the company appointed John Chen as CEO. The head of the company has said on multiple occasions that software and security technologies are the main strength for BlackBerry and warned that the firm could drop hardware completely if this business is not profitable. As it appears, BlackBerry will cease development of its smartphones, but will allow others to do it. Therefore, BlackBerry-branded devices will remain on the market, but the company will not spend big money on their development. Would anyone license that from them? That might be a tough sell. Does anybody remember when the iPhone was doomed because it didn't have a physical keyboard?